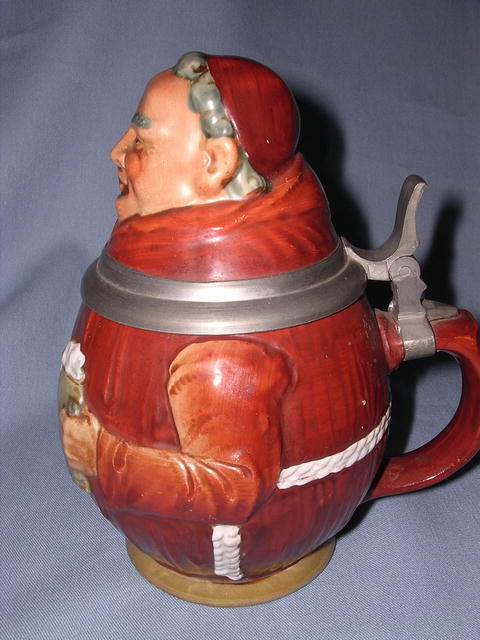 German Monk Stein with Pewter edge Lid and thumb lift. The Gray Hair Monk is holding a black and red bible in one hand and a beer in the other. His robe is a dark rich brown with tan and white trim. 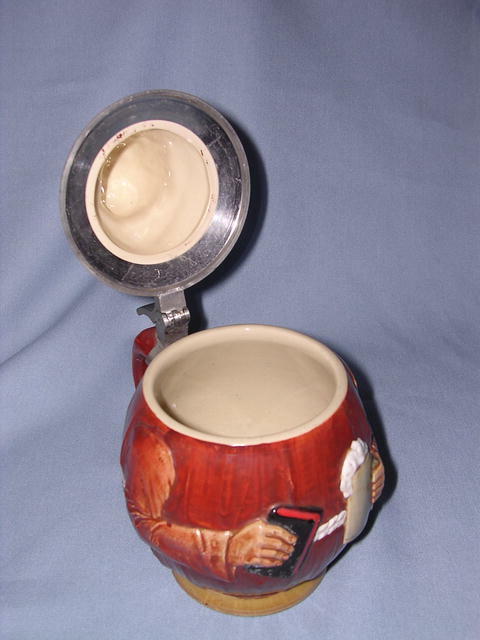 Measures 6 1/2 inches tall and 6 inches wide including the handle. Great detail in the monk's face. 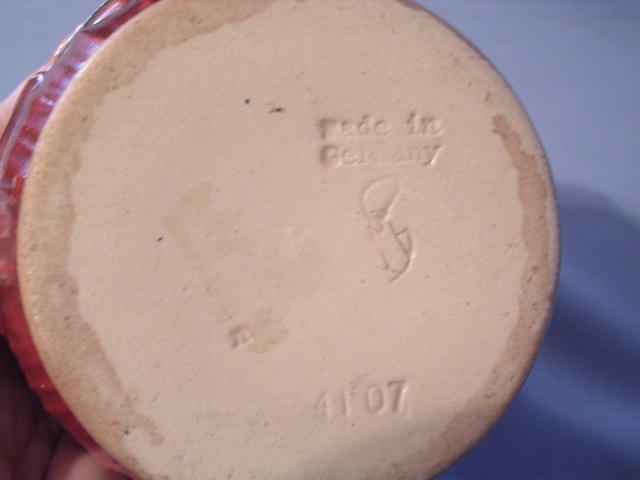 On the bottom it is marked #4107 Made in Germany. In excellent condition with no cracks, chips or repairs. See our other listings. We are happy to combine items for shipping when it is safe to do so. 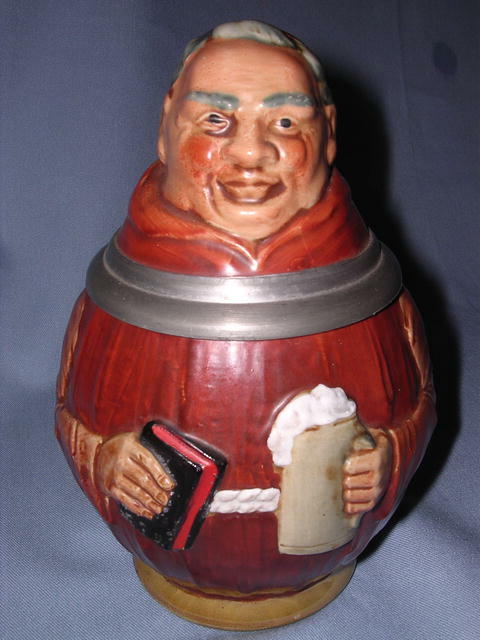 Items Similar To "GERMAN MONK WITH BIBLE LIDDED STEIN"